Benefits of Verifying Your GHG Emissions — KERAMIDA Inc. Expert insight and advice on sustainability, environmental, health and safety issues, including the latest regulatory updates. December 04, 2018 / Albert Chung, Ph.D., P.E. Whether mandated through regulatory drivers or from stakeholder influences, the need to quantify a company’s greenhouse gas emissions, and to show verifiable reductions, is growing in importance. Over half of the Fortune 500 companies have set targets to cut their greenhouse gas emissions, with the strongest efforts being demonstrated among the Fortune 100 companies. For example, IBM has set a goal of cutting its greenhouse gas emissions from energy consumption by 35% by 2020, relative to 2005 levels. What are the benefits of verifying your Greenhouse Gas emissions? 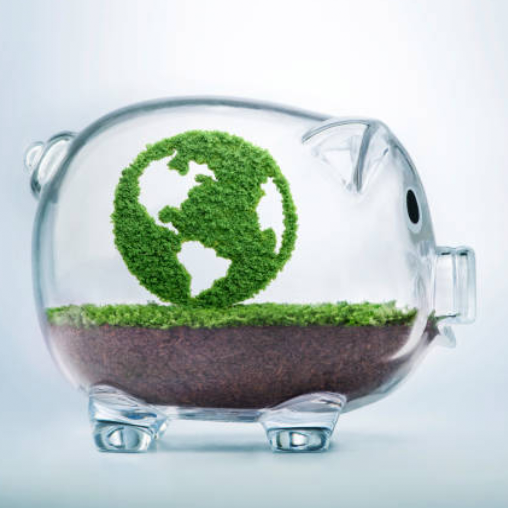 Taking measures to reduce your company’s carbon footprint not only benefits the world’s climate, but it can also impact your bottom line and improve the reputation of your company. In a 2016 report published by CDP (formerly called Carbon Disclosure Project) and other authors, nearly 80,000 emission reducing projects completed by almost half of the Fortune 500 companies show a savings of almost $4 billion in 2016 alone. A report published by McKinsey concluded that nearly 80% of the S&P 500 companies that report emissions to CDP see a higher rate of return on investments when utilizing carbon reduction technologies compared to other types of corporate capital investments. How does reducing GHG emissions increase profits? The McKinsey report went on to explain that companies with higher carbon reduction goals have a potential for greater profit compared to companies with lower targets. This trend can be attributed to higher reduction targets inspiring innovation and the financially rewarding efficiencies that come with reducing energy demand and improved natural resource conservation. In other words, the more motivated a company is in reducing GHG emissions, the more inclined they are to seek out technology that will conserve energy and thus increase profits. This advantage can lead to providing that edge over your competitors. It is apparent from the above mentioned data that a company, even if it is not required by regulation to submit a GHG report, should seriously consider evaluating their carbon footprint and to identify realistic, yet effective, strategies to reduce their GHG emissions from both direct and indirect sources. Once these strategies are identified, it is of extreme importance to make sure that your baseline and subsequent reductions are verified by an independent 3rd party verifier. Why is it important to verify your GHG emissions? Verification of GHG emissions demonstrates to external stakeholders that your footprint and GHG reductions are real, quantifiable, and credible. By presenting verified GHG emission reductions, your stakeholders will feel more confident in the data. Verifying also reduces the risk by showing that the data can reliably withstand scrutiny and it also can increase the attractiveness of the project to potential investors. By having your emission reductions verified, not only does it identify and minimize your risk, but it also may lead to the identification of opportunities for innovation and ideas for the reduction of greenhouse gas emissions. KERAMIDA’s professionals have the technical expertise and credentials to verify your greenhouse gas emissions and to evaluate your emission reductions projects. Being accredited as a Lead GHG Verifier under the California GHG Mandatory Reporting Rule allows us to verify GHG emissions for compliance with the California Mandatory Reporting Rule as well as for companies reporting to CDP. KERAMIDA also has the expertise to provide verification services in support of the ISO 14064 series. If you have further questions or inquiries regarding how GHG efficiency and reporting can benefit your company, please contact us or call us today at (800) 508-8034.